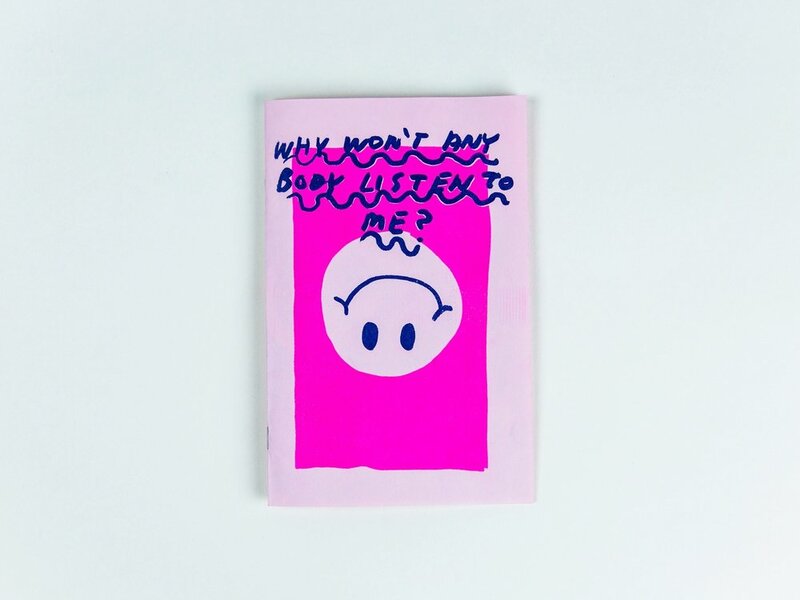 I illustrated and wrote a zine titled, Why Won't Anybody Listen to Me, in September 2017. 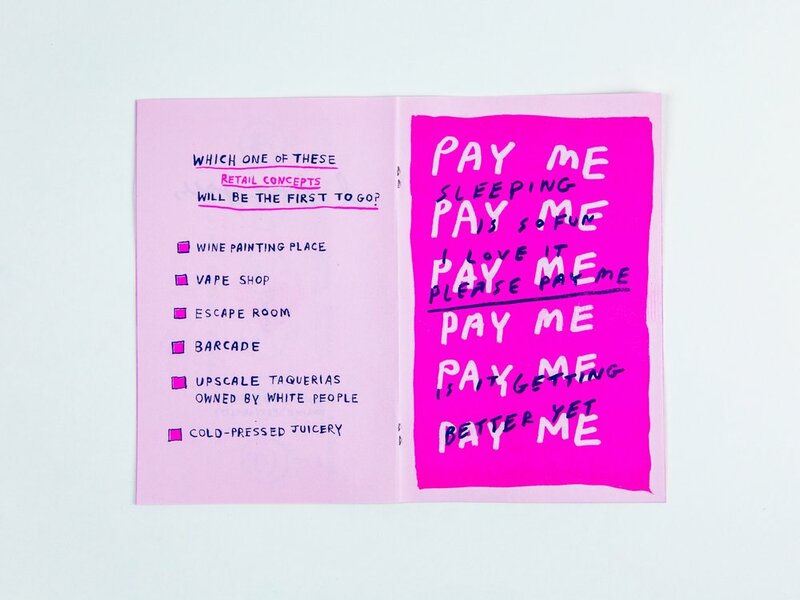 The 2-color risograph printed zine contains drawings that revolve around themes of internet anxiety and millennial angst. 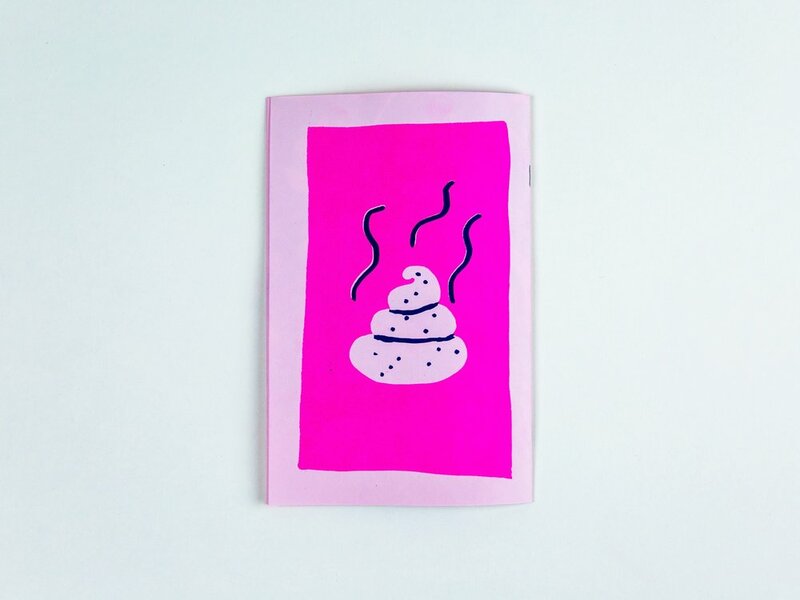 Edition of 100, published by Jimmy Riordan.